This is the fiber that I use as an add-in when carding wool to make tweedy yarn. 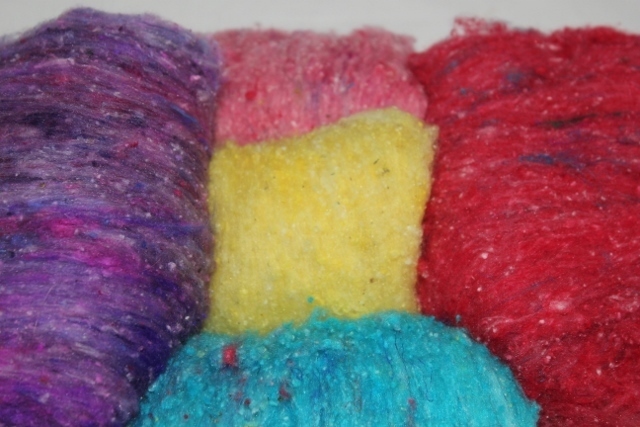 This is hand-dyed silk noil that has been carded. All you need to do is run your wool through your carder a couple of times to blend in these fibers in order to spin your own tweed yarn. 0.2 ounce is enough for a two ounce batt.